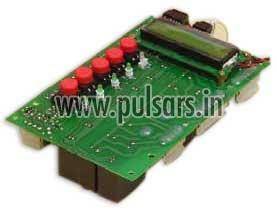 We design and manufacture Microcontroller Circuits boards for OE applications. Our customers can come to us with â��Not so clearâ�� specification and product ideas. We discuss with them to freeze the requirements and start working right from the stage of Freezing of specification. We take the product through various stages like circuit diagram, PCB design, Software specification, Software development, Prototype testing, Validation, Meeting relevant standards, Certification, Pilot lot production and Manufacturing. We also take up upgrades based on field inputs and handling of Field returns.